Musicians with vision required - Drums-Perc - Bass - Violinist - Cellist - Horn Players - Keyboardist (Vocals and Backing Vocals an advantage). Only seasoned musicians need apply for this extraordinary project which involves multiple established recording artists in the Acoustic Roots Genres. Auditions, Rehearsals and Production dates ongoing! Musicians with vision required - Drums-Perc - Bass - Violinist - Cellist - Horn Players - Keyboardist (Vocals and Backing V's an advantage). Only seasoned and experienced musicians need apply for this extraordinary project which involves multiple established recording artists in the Acoustic Roots genres. Think a present day 'Rolling Thunder Revue' project. 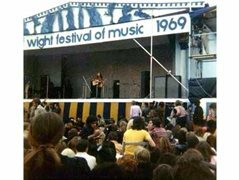 If the line-up is completed, gig fit the work could start with top spot at the 'Isle of White Festival' 50th Aniversary this summer. Musicians with vision required - Drums-Perc - Bass - Violinist - Cellist - Horn Players - Keyboardist - Vocals and Backing Vocals an advantage. Only seasoned and experienced musicians need apply for this extraordinary project which involves multiple established recording artists in the Acoustic Roots genres.